Yes, You Can Now Pawn Sunglasses at North Scottsdale Loan & Gold! Living here in the Valley of the Sun we all quickly learn the value of a good pair of sunglasses. You see them every day, ranging in prices from $5.00 to over $500.00 for a pair. A vast array of prices, style and lens types suitable for every man, woman and child in the state of Arizona. But what happens next year when the latest and greatest style comes out? Perhaps we have an answer. With our Pawn Sunglasses option you can bring your pair or pairs into North Scottsdale Loan & Gold, let our courteous, professional and expertly trained staff appraise your sunglasses, make you an offer and send you on your way with cash in hand. The nice thing about pawn loans is the fact that Designer Sunglasses retain much of their value over the years. If they're made by Tiffany, Versace, Dolce & Gabbana, or any of the famous designers, they can still be worth hundreds of dollars even years after purchase. With our Pawn Sunglasses option, we only have to hold on to them for 90 days, or about three months. You can rest assured that even if you just recently purchased the glasses, their value will still be upheld after those three months. Perhaps you have a pair of Versace, Prada, Gucci or some other high end designer pair of Sunglasses that you no longer wear, don't really want to give them away or sell them but would like to have some extra cash. Pawning your designer sunglasses will do just that. 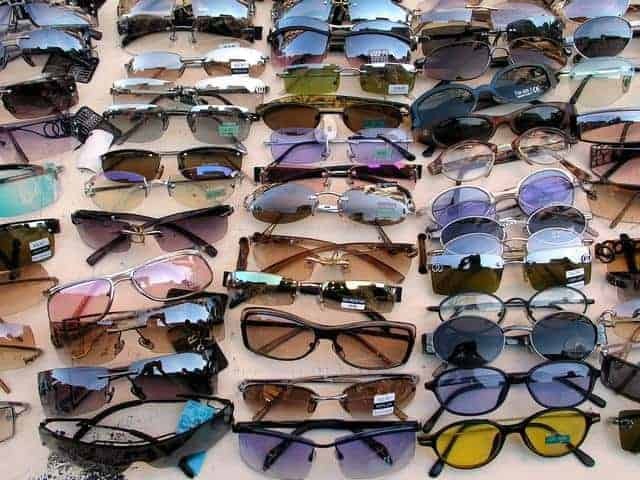 When you Pawn your sunglasses you are actually taking a Short-Term Pawn Loan using your designer glasses as collateral. It gives you that extra cash you want as well as the option to redeem your pawn at any time by paying back the loan and interest. No harm, no, foul and no pre-payment fees. Since Pawn Loans are collateral based loans credit is never an issue and if at some point you decide that you really don't need those old glasses, the option is yours to either redeem your loan or to just keep the cash. It really is as easy as that. If you're in a situation of financial disparity or emergency, the easiest item to use for cash (without having to sell your items outright!) is to get a PAwn Loan. You can't live without your phone, your laptop, or any of your electronics, so Pawning Sunglasses is definitely the best way for you to put together the fast cash you need for your situation. North Scottsdale Loan and Gold makes it its mission to help our customers however we possibly can. You can rest assured that your valuable sunglasses and possessions are safe in our hands. So why wait, put on your new Gucci's and bring in your old Versace's and Pawn Sunglasses at North Scottsdale Loan & Gold. Conveniently located at Scottsdale Road and Shea, North Scottsdale Loan & Gold serves Scottsdale, Phoenix, Tempe, Mesa and the Greater Phoenix Area.